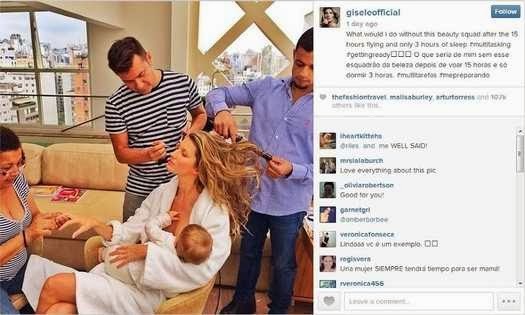 Brazilian Model Gisele Bunchen is making the headlines after posting a breastfeeding photo on her inst-gram account this 10 th December. Not too long after the image was Posted Actress 27 year old Emily Rossum, who starred in " The Day after tomorrow," couldn't help but mock the revealing image. Actress Emmy Rossum shared her own recreation snap of Gisele Bundchen's photo , pretending to breastfeed a doll as she attended to in her makeup trailer set. " Hey @giseleofficial , i feel ya girl .#kidding # fakechild # soymilk # shameless,' she tagged the pic.